Summer is almost here and now more than ever families like yours are heading out on vacation. 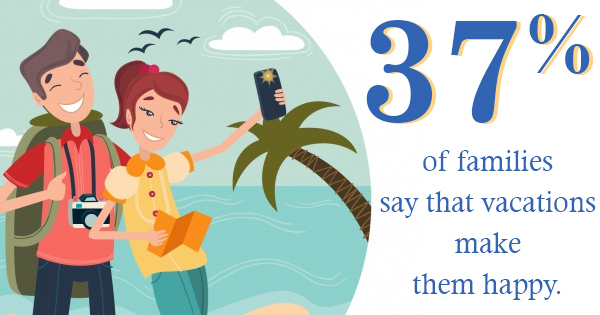 In fact, 37% of families say that vacations make them happy. While you’re out soaking up the sun you may find yourself targeted by a timeshare offer. This may seem like a great deal at first, but it may be in your best interest to book a hotel instead. Hotels Vs. Timeshares: Why Not Buy A Timeshare? The convenience of a timeshare is one of the timeshare selling techniques used by the industry. Timeshares let you own the vacation property without the hotel costs. But timeshares are actually more expensive than hotels and aren’t always a wise investment. Timeshares need maintenance fees and repairs every month alongside the initial downpayment. Considering you’ll be spending a short time there during the year, it’s not very cost effective. In fact, it would be more cost effective to use a hotel. You pay per night when you stay at a hotel. The average hotel costs $137 a night. If you were to stay in a hotel for a week, your average cost would be around $959. This may seem expensive upfront, but compared to the average yearly cost of a timeshare it’s a steal. What’s more, when you rent a room at a hotel you won’t be as stressed as you would be with a timeshare. A timeshare needs you to keep up maintenance and repairs. At a hotel, you’re a guest and you’re treated like one. Up to 85% of timeshare buyers say they regret their purchase because of money, confusion, distrust, fear, and intimidation. Few people regret their hotel room rentals and, when they do, they have the chance to check out and find a new hotel. But timeshares can be difficult to get out of. And if you’ve passed the cancellation period, it may be impossible to get out a timeshare. It’s for this reason that one of the key timeshare selling techniques is to confuse you during a lengthy presentation. The idea is to get you to sign the contract as quickly as possible. Timeshare attorneys can help you figure out how to cancel your timeshare contract before it’s too late. And if you’re past the cancellation period, a timeshare lawyer can help you find your way out of the contract. For more information on how to get out of timeshare ownership, contact the law offices of Susan Budowski today.